RIBBED KNIT CONSTRUCTION-These feel like your favorite cotton t-shirt. Thin, lightweight 100% cotton feels so nice against your skin. These are pure white with full ribbed cuffs on the wrists and ankles. 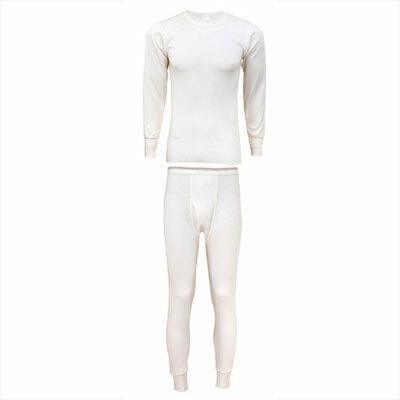 Cotton is perfect for low activity in cold temperatures.